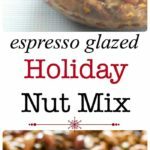 Make this easy 4-ingredient espresso glazed holiday nut mix as gifts for friends and family–or just devour it yourself! 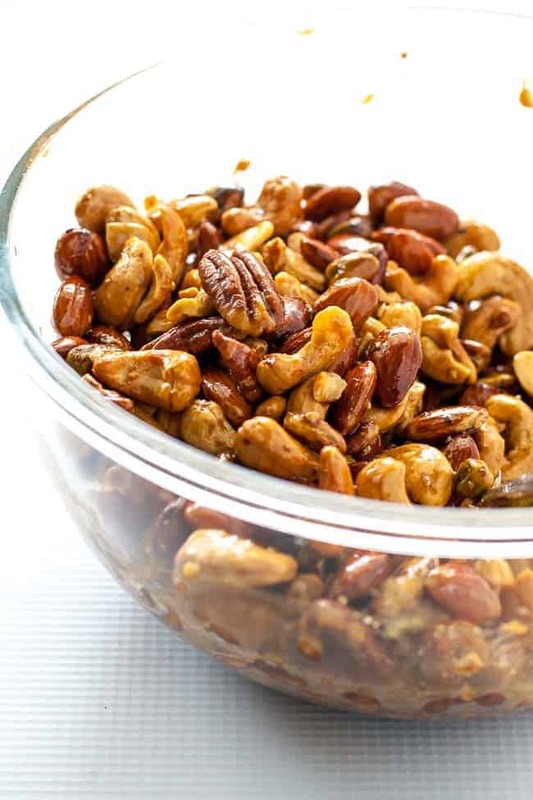 Here’s a quick and easy holiday nut mix with a difference! 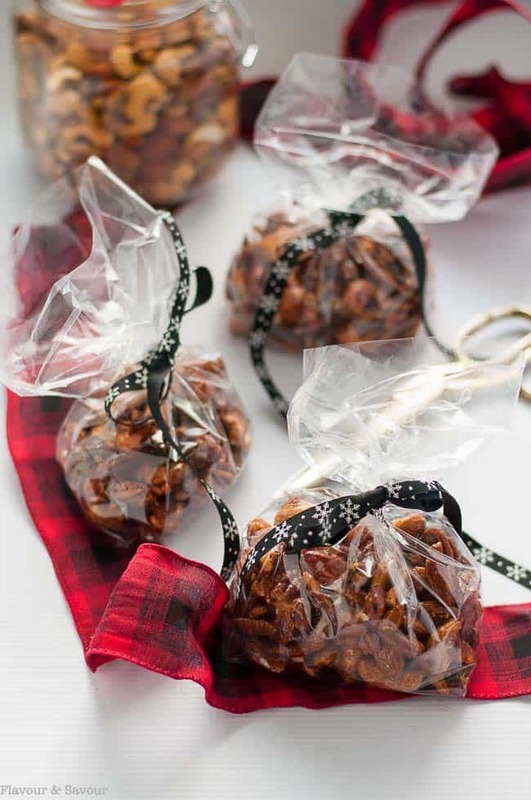 I love having nut mixes on hand during the holidays and often make these Sweet and Spicy Rosemary Nuts. 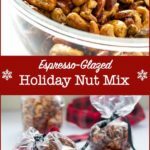 This year, I added Sweet and Spicy Pretzel Nut Snack Mix to my list of favourites, but now, here’s something new that I’m excited to share with you: Espresso Glazed Holiday Nut Mix. 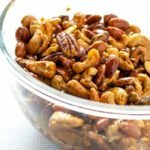 This holiday nut mix has a bit of a kick from the instant espresso and if you like that rich coffee flavour as much as I do, you will love these nuts. 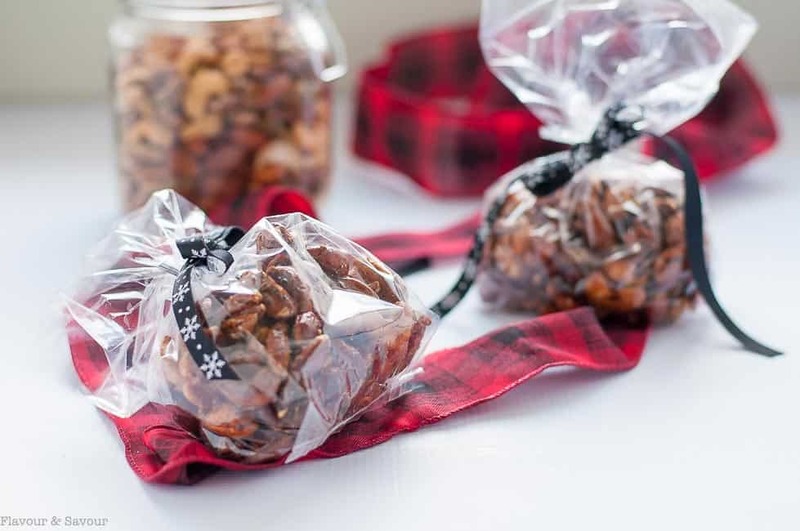 I’ve packaged them up for gifts, but I know I’m going to have to make a double batch next time. Soon. 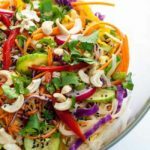 Combine the glaze ingredients and heat to boiling. 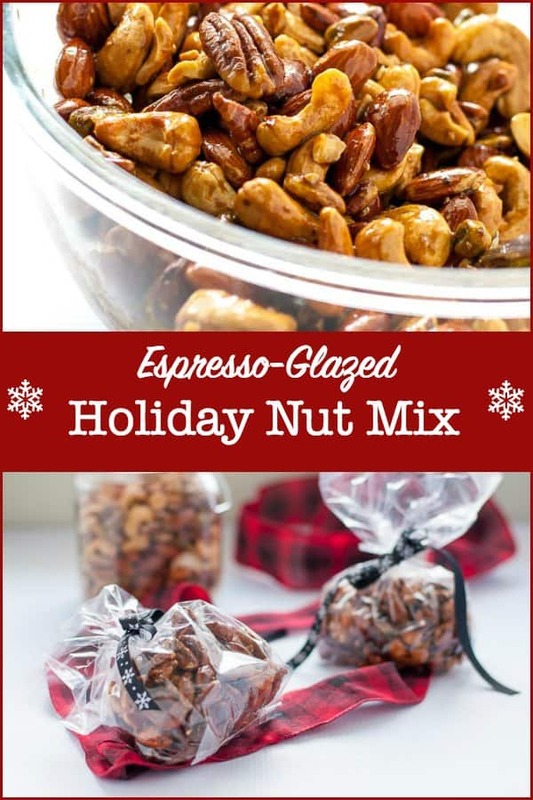 Make this easy 4-ingredient Espresso Glazed Holiday Nut Mix as gifts for friends and family --or just devour it yourself! Heat oven to 350°F. 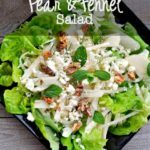 Line a baking sheet with parchment paper or foil. In a medium saucepan (enough to hold 3 cups) combine water and coffee. When dissolved, add sugar and honey. Stir over medium-high heat until sugar has dissolved and mixture boils. 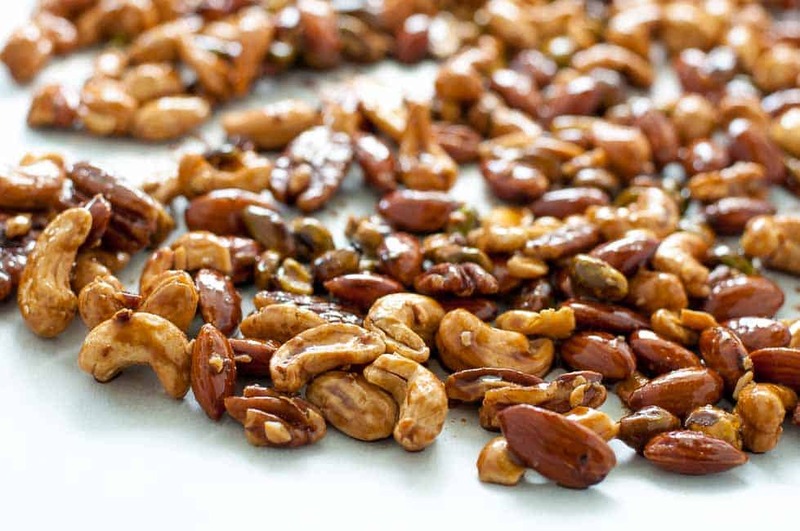 Spread nut mix in a single layer on lined baking sheet. 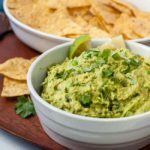 Bake for 12 - 15 minutes, stirring half way through. Watch carefully to prevent burning. 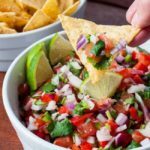 Sprinkle with salt. Cool on baking sheet. Break into pieces. Store in an airtight container.